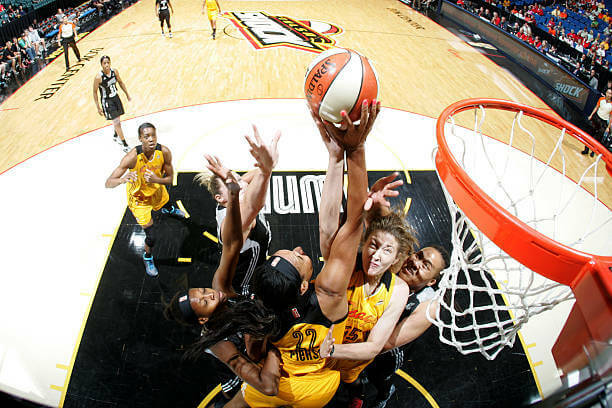 On July 23, 2015, WNBA League owners unanimously approved Tulsa Shock’s relocation to Dallas-Fort Worth. The last regular season home game for the Shock in Tulsa was September 13 against Phoenix. While the Shock did make the playoffs, they were still young and were swept in 2 straight by the same Phoenix squad. The new home arena for the Shock in DFW is the College Park Center at UT Arlington, also home to the UT Arlington Mavericks. On November 2, 2015 the team name was officially changed to the Dallas Wings. The name stems from the famous Mobil Oil Co. “Flying Horse” atop of a historic downtown Dallas building. Also it is a similar mascot to its local NBA team the Dallas Mavericks.